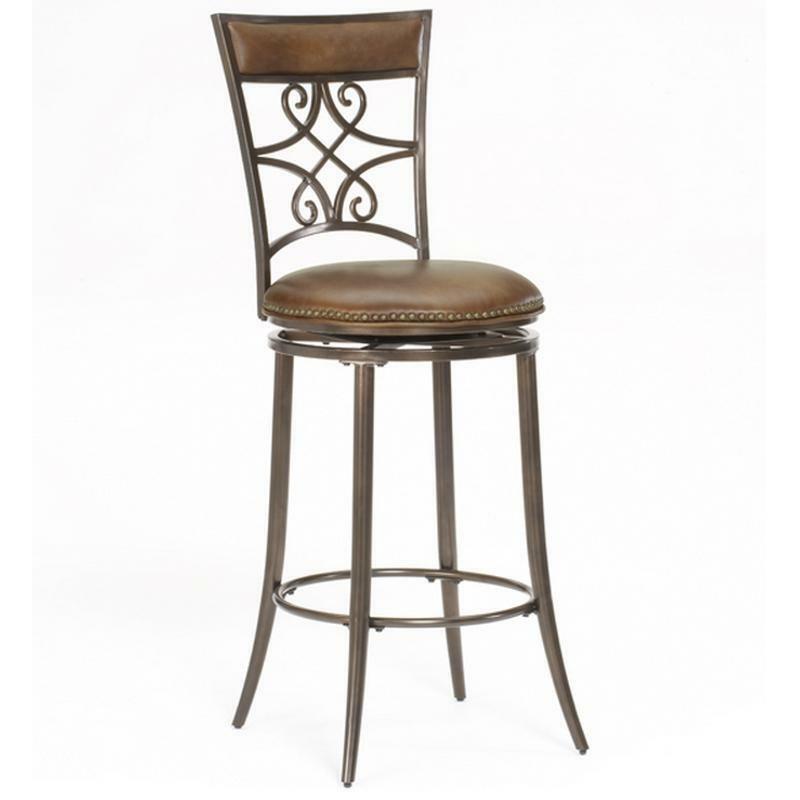 The elegant Seville Counter height Stool from Hillsdale furniture will look great in your dining area. It features an intricate metal scrolled back design and a luxurious padded seat complete with nailhead trim accents. This elegant counter stool is constructed of heavy gauge tubular steel, with a stunning brown shimmer finish and rich brown faux leather upholstery.